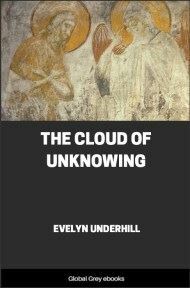 This is Evelyn Underhill's translation of the medieval spiritual guidebook called The Cloud of Unknowing, written by an anonymous English monk. 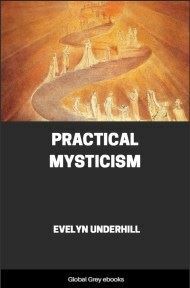 At the core is a mystical approach to Christian prayer, in which God is found not through rote knowledge, but through 'blind love.' It has been described as Christianity with a Zen outlook. 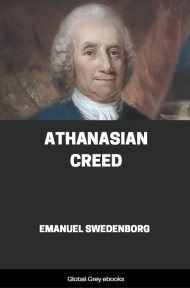 Of four degrees of Christian men’s living; and of the course of his calling that this book was made unto. GHOSTLY friend in God, thou shalt well understand that I find, in my boisterous beholding, four degrees and forms of Christian men’s living: and they be these, Common, Special, Singular, and Perfect. Three of these may be begun and ended in this life; and the fourth may by grace be begun here, but it shall ever last without end in the bliss of Heaven. And right as thou seest how they be set here in order each one after other; first Common, then Special, after Singular, and last Perfect, right so me thinketh that in the same order and in the same course our Lord hath of His great mercy called thee and led thee unto Him by the desire of thine heart. For first thou wottest well that when thou wert living in the common degree of Christian men’s living in company of thy worldly friends, it seemeth to me that the everlasting love of His Godhead, through the which He made thee and wrought thee when thou wert nought, and sithen bought thee with the price of His precious blood when thou wert lost in Adam, might not suffer thee to be so far from Him in form and degree of living. And therefore He kindled thy desire full graciously, and fastened by it a leash of longing, and led thee by it into a more special state and form of living, to be a servant among the special servants of His; where thou mightest learn to live more specially and more ghostly in His service than thou didst, or mightest do, in the common degree of living before. And what more? Yet it seemeth that He would not leave thee thus lightly, for love of His heart, the which He hath evermore had unto thee since thou wert aught: but what did He? Seest thou nought how Mistily and how graciously He hath privily pulled thee to the third degree and manner of living, the which is called Singular? 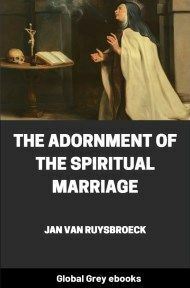 In the which solitary form and manner of living, thou mayest learn to lift up the foot of thy love; and step towards that state and degree of living that is perfect, and the last state of all. 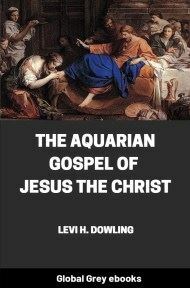 A short stirring to meekness, and to the work of this book. LOOK up now, weak wretch, and see what thou art. What art thou, and what hast thou merited, thus to be called of our Lord? What weary wretched heart, and sleeping in sloth, is that, the which is not wakened with the draught of this love and the voice of this calling! Beware, thou wretch, in this while with thine enemy; and hold thee never the holier nor the better, for the worthiness of this calling and for the singular form of living that thou art in. But the more wretched and cursed, unless thou do that in thee is goodly, by grace and by counsel, to live after thy calling. And insomuch thou shouldest be more meek and loving to thy ghostly spouse, that He that is the Almighty God, King of Kings and Lord of Lords, would meek Him so low unto thee, and amongst all the flock of His sheep so graciously would choose thee to be one of His specials, and sithen set thee in the place of pasture, where thou mayest be fed with the sweetness of His love, in earnest of thine heritage the Kingdom of Heaven. Do on then, I pray thee, fast. Look now forwards and let be backwards; and see what thee faileth, and not what thou hast, for that is the readiest getting and keeping of meekness. All thy life now behoveth altogether to stand in desire, if thou shalt profit in degree of perfection. This desire behoveth altogether be wrought in thy will, by the hand of Almighty God and thy consent. But one thing I tell thee. He is a jealous lover and suffereth no fellowship, and Him list not work in thy will but if He be only with thee by Himself. 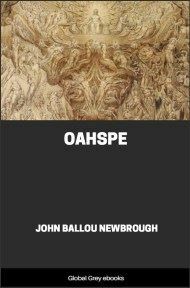 He asketh none help, but only thyself. He wills, thou do but look on Him and let Him alone. And keep thou the windows and the door, for flies and enemies assailing. And if thou be willing to do this, thee needeth but meekly press upon him with prayer, and soon will He help thee. Press on then, let see how thou bearest thee. He is full ready, and doth but abideth thee. But what shalt thou do, and how shalt thou press? 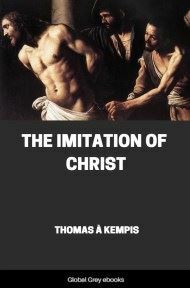 How the work of this book shall be wrought, and of the worthiness of it before all other works. LIFT up thine heart unto God with a meek stirring of love; and mean Himself, and none of His goods. And thereto, look the loath to think on aught but Himself. So that nought work in thy wit, nor in thy will, but only Himself. And do that in thee is to forget all the creatures that ever God made and the works of them; so that thy thought nor thy desire be not directed nor stretched to any of them, neither in general nor in special, but let them be, and take no heed to them. This is the work of the soul that most pleaseth God. All saints and angels have joy of this work, and hasten them to help it in all their might. All fiends be furious when thou thus dost, and try for to defeat it in all that they can. All men living in earth be wonderfully holpen of this work, thou wottest not how. Yea, the souls in purgatory be eased of their pain by virtue of this work. Thyself art cleansed and made virtuous by no work so much. And yet it is the lightest work of all, when a soul is helped with grace in sensible list, and soonest done. But else it is hard, and wonderful to thee for to do. Let not, therefore, but travail therein till thou feel list. For at the first time when thou dost it, thou findest but a darkness; and as it were a cloud of unknowing, thou knowest not what, saving that thou feelest in thy will a naked intent unto God. This darkness and this cloud is, howsoever thou dost, betwixt thee and thy God, and letteth thee that thou mayest neither see Him clearly by light of understanding in thy reason, nor feel Him in sweetness of love in thine affection.